Across the Pacific local councils take a variety of different forms, ranging from traditional village structures to fully-fledged municipalities. Whatever form local government takes, an appropriate legislative and regulatory framework is essential to ensure that councils can effectively address the needs of their communities. This study is designed to help Pacific island countries review and strengthen their existing frameworks. It begins by examining legislation and systems across a range of countries and institutional settings, identifying examples of best practice and areas for improvement. 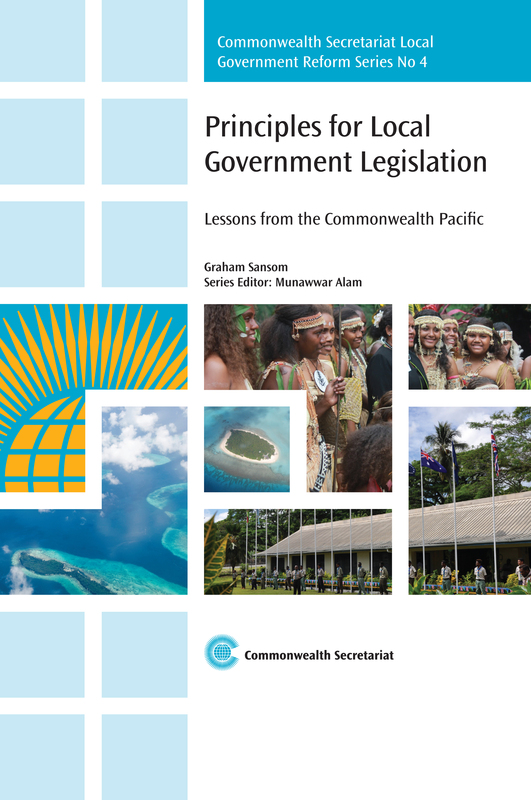 It then presents case studies of three very different legislative frameworks: Fiji, Solomon Islands and Samoa. In the conclusion, the findings are consolidated into ten key principles for effective legislation: fit for purpose; democracy and representation; local empowerment; probity; oversight and support; capacity and sustainability; efficiency, effectiveness and equity; community engagement; inter-government co-operation; clarity and consistency. This is an authoritative piece of research that will be extremely valuable to local government practitioners in the Pacific and beyond. Professor Graham Sansom was Director of the UTS Centre for Local Government and the Australian Centre of Excellence for Local Government. His principal professional and research interests are in the areas of public policy, particularly issues relating to the fundamental role and purpose of local government, strategic and corporate planning, and inter-government relations.